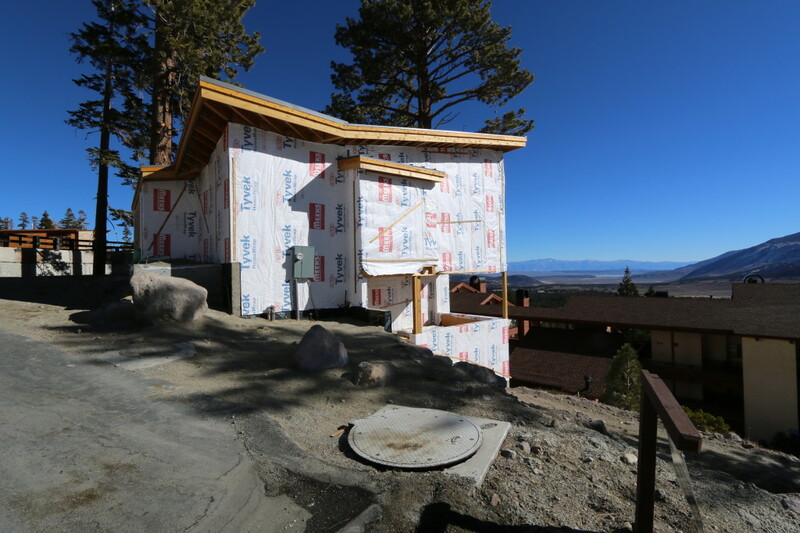 Mammoth may be experiencing another drought winter but the building contractors are taking advantage of the warm weather. 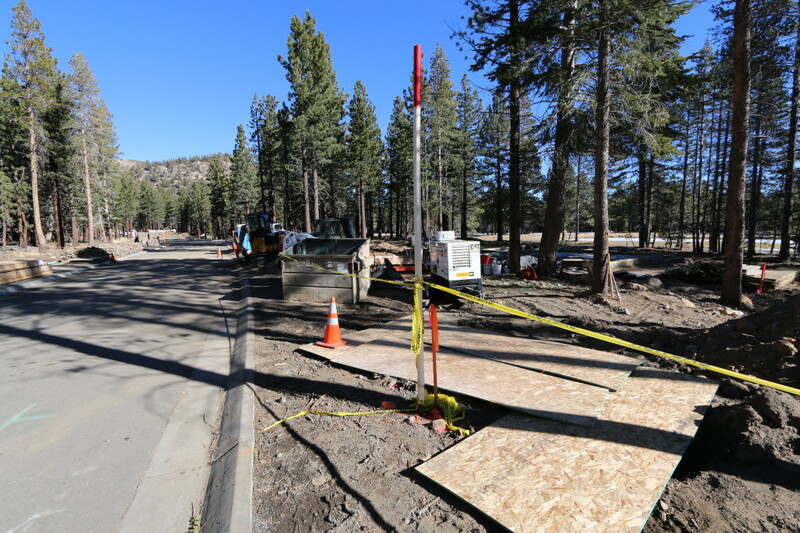 I noted in last week’s newsletter that the Mammoth Lakes Public Works Department was crack filling with hot tar on Minaret Road in the middle of January. This isn’t the normal time of year for that activity. Neither is forming-up and pouring building foundations. 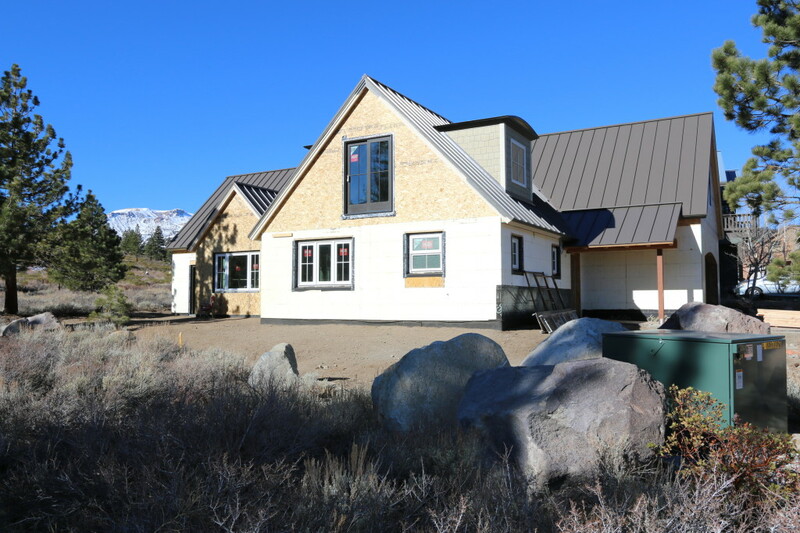 Building homes in Mammoth Lakes during the winter can be grueling. The local contractors prefer to have structures “buttoned-up” before winter comes. So here is a sampling of some of the current single-family homes under construction…. This is a massive new home under construction on the ridge line of The Bluffs; lots of steel for big open room spans and to take advantage of the panoramic views. Normally this wouldn’t be the most friendly spot to be building during the winter but I’m sure the workers have been enjoying the weather and the views. Here’s an interesting build. 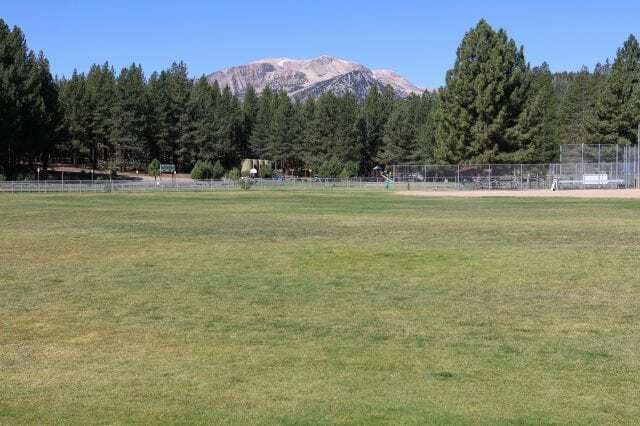 This is the lowest lot in The Trails, the most eastern lot in all of Mammoth. 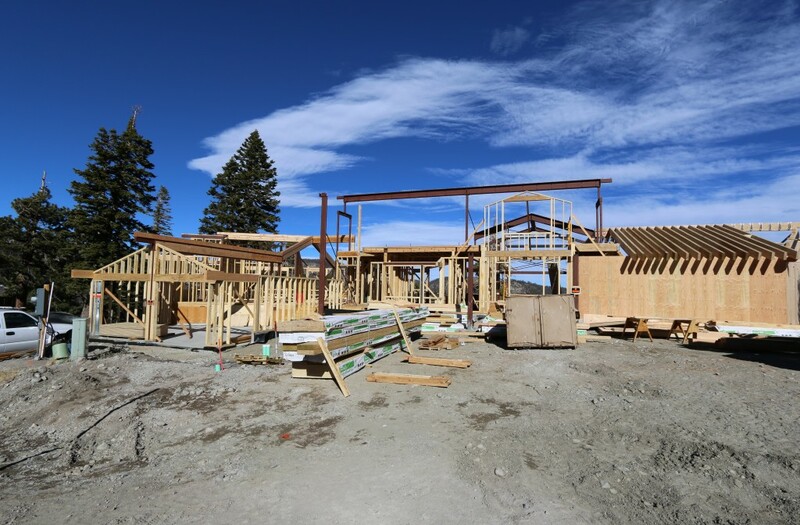 This is being built by one of Mammoth’s long standing plumbing contractors for his own home. Clearly a downsizing move. He used the new insulated concrete form system for the foundation. This is the last home under construction in Greystone. This was John Hooper’s 7-lot subdivision in the former Solstice II property on the Sierra Star golf course. All of the homes are sold. So now Mr. Hooper is moving on to his new subdivision Gray Bear…..
Where he removed trees and poured the first foundation. 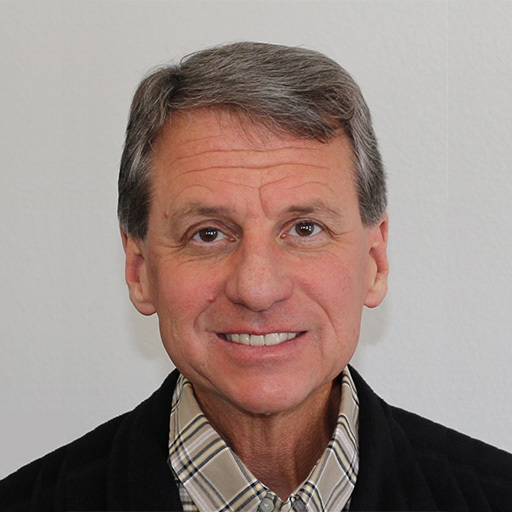 He has a total of 12 lots in this new subdivision and prices start at $1,215,000 for a 4 bedrooms / 4.5 baths home. These too front on the Sierra Star golf course. 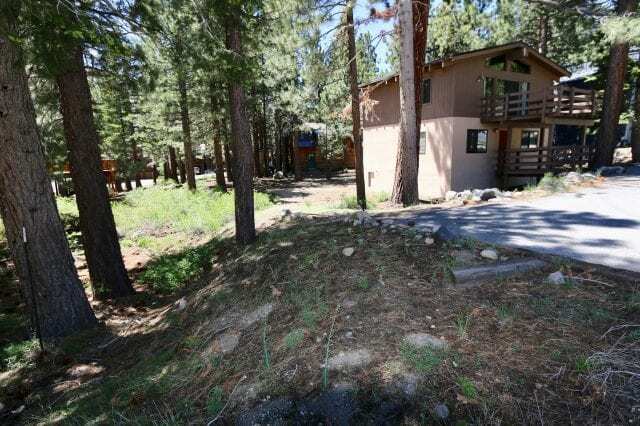 And because of the zoning (Resort) these homes can be rented on a nightly basis. 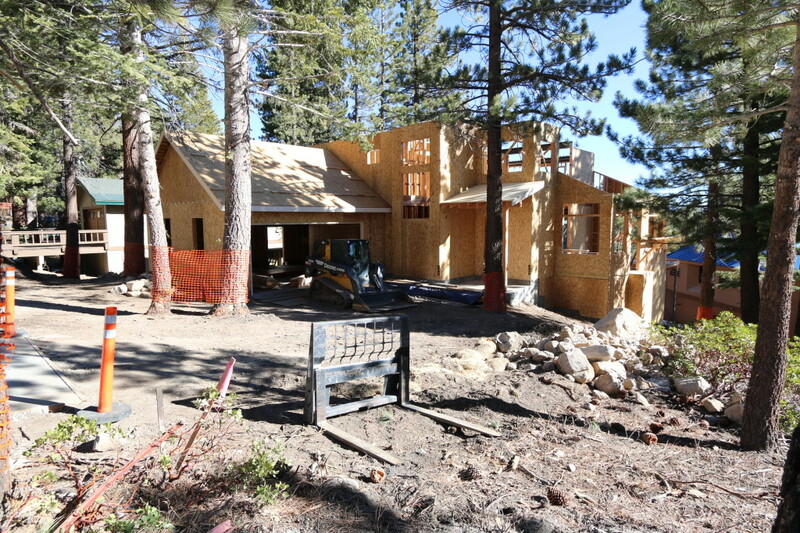 Here’s a new home under construction on Valley Vista Drive in the Mammoth Vista II subdivision near Eagle Base. I had this lot listed for a couple of years so I know it pretty well. 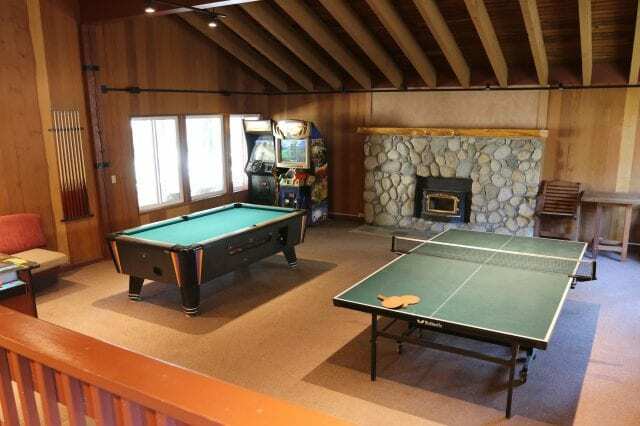 This home was obviously designed by someone unfamiliar with Mammoth and the local environment. 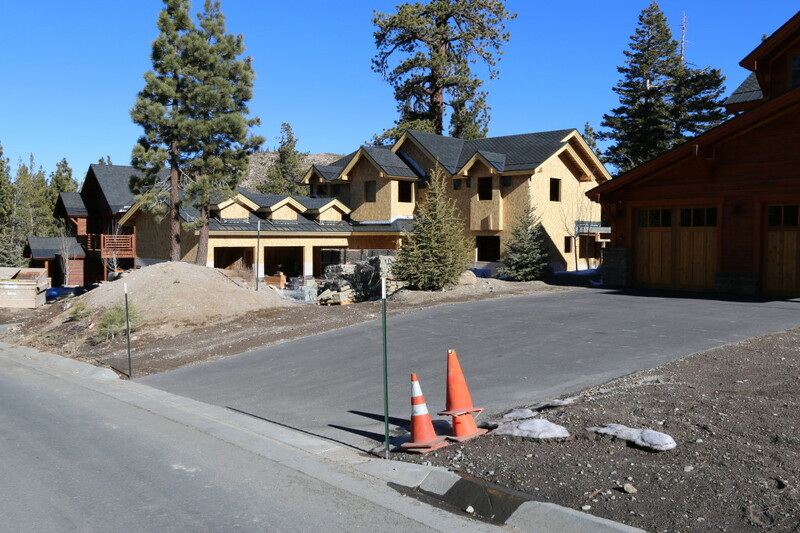 First, garages are cherished and coveted in Mammoth so there is no reason to undersize the garage. Second, garages are best when squared up to the street and driveway; negotiating a right turn on an icy driveway is all wrong. And third, the slab level of the garage really shouldn’t be lower than the street level; snowmelt should run away from the garage, not into it. 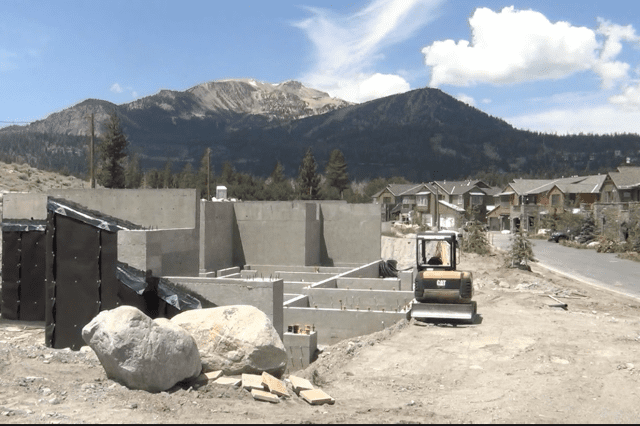 This wild new home under construction is in the Altis II subdivision right along the Bridges ski run on Mammoth Mountain. This is a new ski-in ski-out subdivision between Greyhawk and the ski runs. 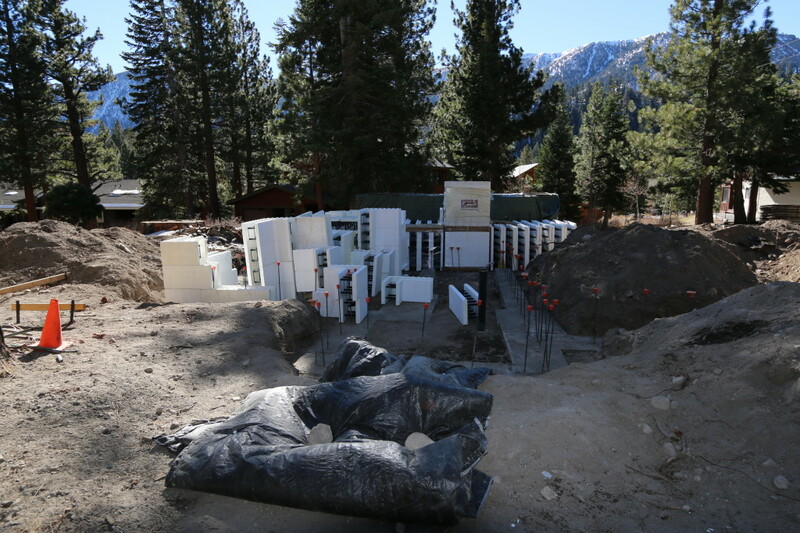 And this brand new January foundation on Hill St. in Old Mammoth is utilizing insulated concrete foundation forms. These are relatively new to Mammoth but make sense in this environment.